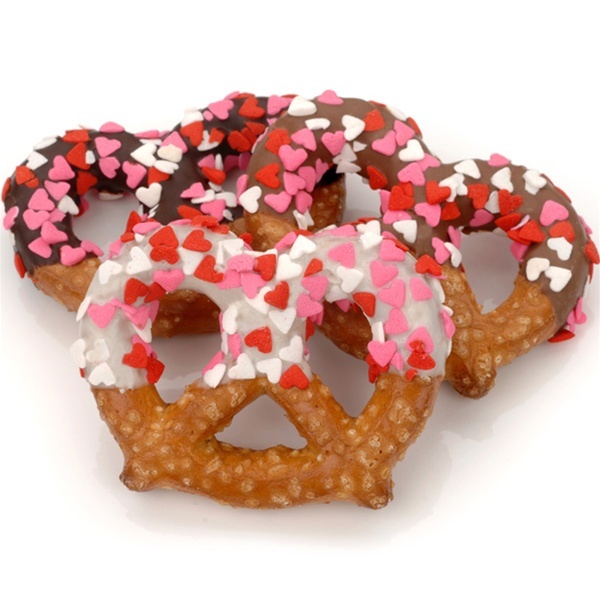 "Bavarian Style" Pretzel Twists are a perfect combination of sweet & salty...our crisp delicious pretzels are hand-dipped in your choice of Belgian Chocolates and generously showered with Heart Sprinkles. Individually wrapped in crystal-clear cellophane bags and heat-sealed at both ends for freshness and quality. Perfect indulgence for any occasion or as a delicious party favor.